converting to cruelty free so managed to talk myself in to picking up my favourite shades. PS thank you so much to penpal Sweet Strawberries for the darling bracelet, I know I owe about a billion letters haha! Each product has a doe foot applicator, just like the famous NYX liquid lipsticks and unusual for an eye shadow. I find the quirky design brilliant in order to exert better control for precise application around the delicate eye area. Definitely beats using the fingers! They're really easy to use when you're on the go and don't have your palettes or brushes with you, or when you don't have much time to do your makeup. 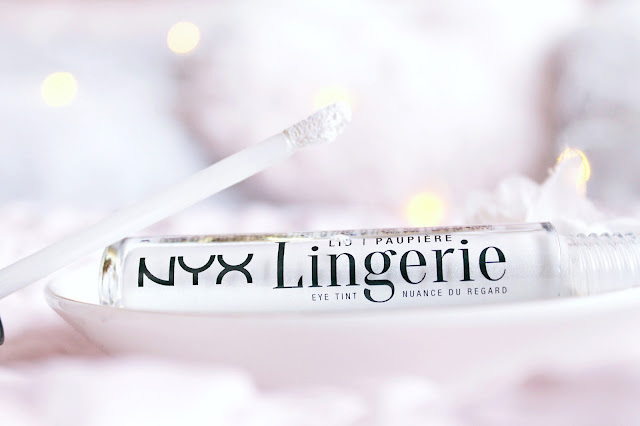 White Lace Romance is pure ice queen eye pigment. I swear, the name didn't sway me! 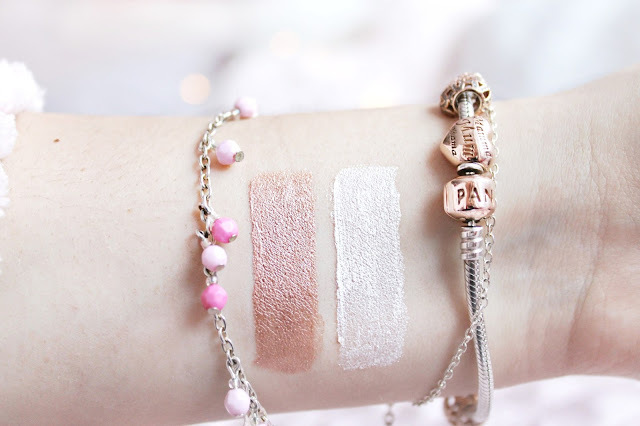 Although it does sound utterly magical Often, the palest eye palette shades can show up chalky and they are less likely to stay put so I have a feeling this shade will become an essential for me and I'll get a lot of use out of it. Such beautiful pigmentation and slightly sheer with shimmer, it's perfect for creating ethereal eye looks. 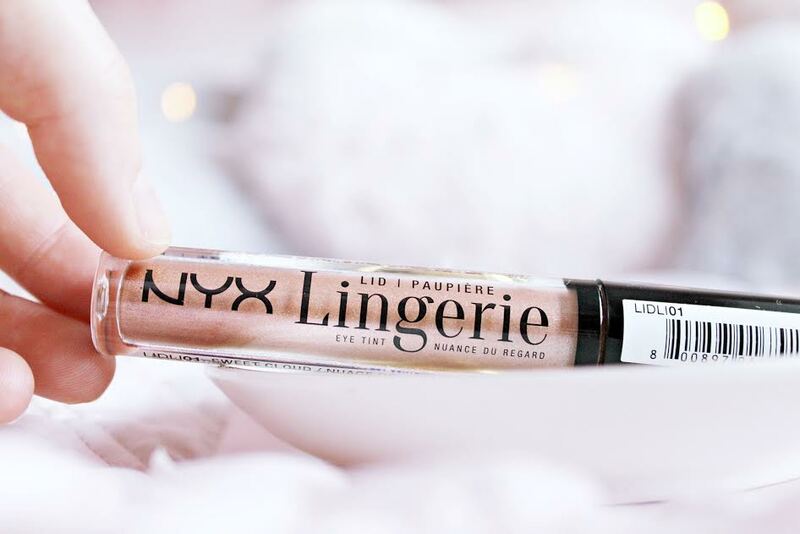 Sweet Cloud is the dreamiest, metallic, burnt rose gold shade. It's gorgeous! It's intensely pigmented, which I love, and beautifully opaque when swatched. I chose a bronze shade to bring out the gold in my eyes and just a tiny amount of this makes them pop! It can be used to compliment so many eye looks. Here are both swatched, Sweet Cloud on the left and White Lace Romance on the right. 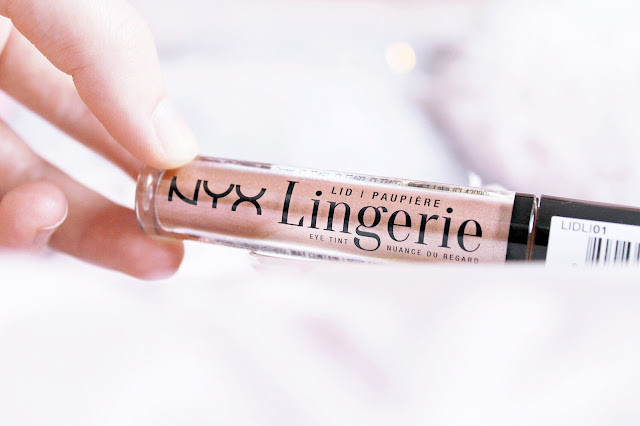 I purchased mine from Boots (I just love visiting the NYX counters whenever I am in the city!) at only £6 a pop but you can also find them on Feel Unique here. They are so affordable for what they are, such great quality! Will I be picking up Morning Sky? Yes yes, I really want to collect them all! As soon as I've saved up a bit, that is. 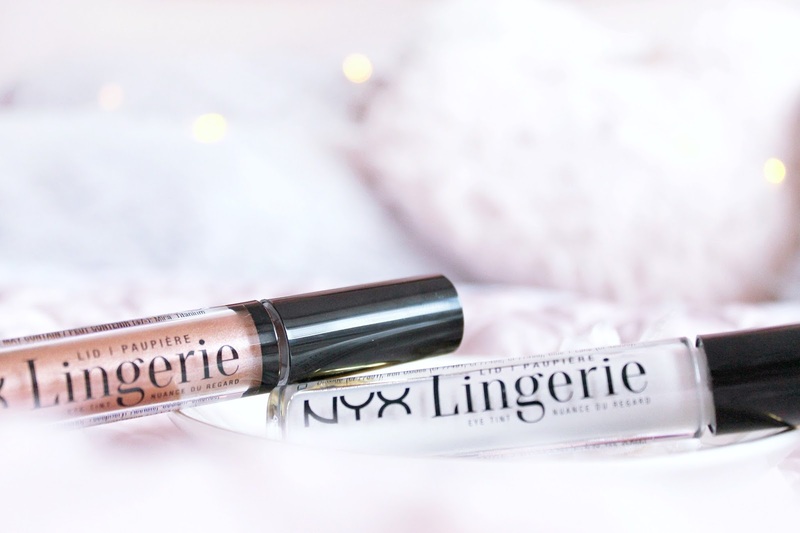 I'm definitely a cruelty free liquid eyeshadow convert! Do you prefer shadows or gels? PS go here to enter my Christmas giveaway! "White Lace Romance" is gorgeous. I just bought my fist lip lingerie, and really like it, so I will have the check out these. Your photography is so dreamy. I've never heard of these before but they sound so good! I'm also slowly converting to cruelty free makeup and I've heard so many good things about NYX. WOW! These look amazing. You've convinced me to get some of my own, they look gorgeous! The one in Sweet Cloud is really pretty! It looks like such a gorgeous pinkish shade. I haven't tried these yet, but I have heard great things about the NYX lingerie liquid lipsticks. It's definitely different that they have that kind of applicator, though I'm sure it will help with precision like you said. I would be interested to try these as I didn't like the liquid lipstick at all but these look great from the swatches and I love the colours you picked. Scheme Serve allows users to educate employees on government-mandated benefits and coverage. An agent dashboard helps to manage the sales process and track performance against individual sales goals.